Expert NBA Handicappers: Who is the Best in the World? If you are looking for the best handicappers on the planet then you have come to the right place. This page lists not only our personal favorites, but also long term records and trends from excellent handicapping services from all over the world. Some visitors want to know who is hot right now, but this doesn’t always give you the best idea of who you want to follow for an entire season. Instead we tend to focus on the guys with the long term track records. The tipsters who have proven they know how to handicap the NBA and find winners on a daily basis. We looked back over years of trends and data and have identified what we feel are the five handicappers in the industry to follow during any given season. These are experts that have gone above and beyond what we would consider a lucky streak by beating the odds every year. Nobody beats the sportsbooks during the entire season like Mr. East. A totals specialist, he has hit an unmatched 58% of his totals since the start of 2009! 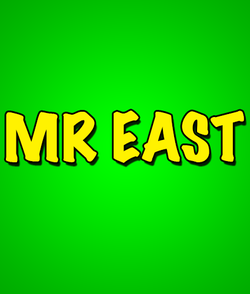 It’s simple – if you want to win this year, you need to follow Mr. East’s totals. For those looking to cashing in on both totals and bets against the spread, Merril is an excellent choice. He somehow pegs the nationally televised ESPN games better than anyone. His $100/game customers are up an insane $10,125 since April of 2008, which ranks at the top of our all-time list. 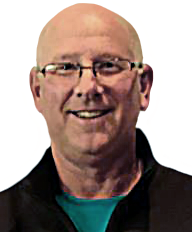 Matt Fargo has a well-earned reputation for providing some of the best insights in the business when it comes to betting pro basketball. This attention to detail has led him to season after season of incredible profits. His top-plays have hit at a 57% clip since January of 2009! Jack Jones is one of the few cappers that bets almost every single day of the season and still manages to turn a profit. If you are looking for a lot of action from a handicapper with a winning reputation, here is your man. His $100 per game clients are up over $8,000 with his plays dating back to March of 2009! Ben Burns is another tipster that puts an enormous amount of time and effort into researching his selections. All of that hard work has paid off in droves, particularly on his top play selections, which are hitting at 56% since 2009, good for 6,104 units in profit! Below you will find additional names and records. Just because they didn’t make the list above doesn’t mean we don’t recommend them. We won’t list any tipsters on FreeNBABasketballPicks.com that we don’t think deserves to be here.